Not bad as I thought it be considering 75% of this tank was hard driving. 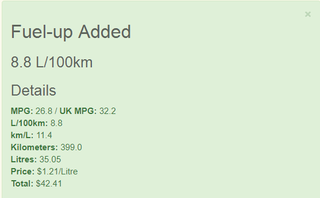 I normally get 7.5L -8L/100kms, & 450kms to a tank commuting. I thought I be closer to 10L/100kms with the way I was driving.